A New Orleans aristocrat and doctor, Clayton Otherson, is an aging national leader in the field of trauma surgery who begins to injure patients with his unacceptable technical and judgmental mistakes. Otherson’s younger partner, Mike Boudreaux, whom he trained and mentored, must discipline him. Otherson resents constrains and criticisms and denies his impairment. Boudreaux complicates his management by falling in love with Otherson’s beautiful wife, Catherine. Otherson’s wrath threatens violence as Boudreaux and Catherine shape their love struggling for respect in the contempt of New Orleans’ society. A short-list finalist in the 2010 William Faulkner-William Wisdom Creative Writing Competition. Human nature has always been fascinating to me. What makes people do the things that they do? This is the type of issue that William H. Coles explores in his book The Surgeon's Wife. Clayton Otherson is a surgeon in New Orleans who mainly does bariatric surgery. He's been making a few mistakes lately, though, forcing Mike Boudreaux to act in his capacity as Chief of Service. Dr. Otherson is a very prominent surgeon who is a forerunner in obesity surgery; he also taught and mentored Dr. Boudreaux. That makes it hard for Mike to make any decisions that might jeopardize Dr. Otherson's career. Then there is Catherine, Clayton's wife. Catherine has always been a strong woman and very active in the community. Now, though, Clayton seems to be coming unglued, and Catherine is unhappy in her marriage. Will Mike make the hard decision that ends Clayton's career? How will Clayton react if the only thing he has ever known is taken away from him? Will Catherine stick it out in her marriage for better times? Or will she walk away? The Surgeon's Wife is available in print and as ebook (ePub) at: AuthorHouse, Amazon (Kindle click here), Barnes and Noble, and select bookstores. 4 out of 5 stars on Amazon - Read reviews here. The Surgeon’s Wife is a book that starts off as just another story of several medical practioners whose lives are intertwined in their daily hustles of making other people’s lives better either by way of medicine or surgical procedures. However, as the author delves deep into these doctors’ lives, it turns out to be a really interesting read as most of the people in the book have quite a dramatic lifestyle both in their line of work and in their personal lives outside of the hospital. Surgeon’s wife is a must read. It has a well-developed plot, although short, each page leaves you wanting more and you can’t wait to turn the next page. I rate the book 4 out of 4 stars. I could not find any error in the book meaning it had a professional edition. I recommend this book to young adults. They should understand the consequences of ignoring part of their life. They should learn how to balance their lives and be better adults when they finally get married. I can read the book a hundred times without getting bored, so get your copy and discover the story! Personally, this book has taught me that nothing is ever what it seems and that there is more to life than a successful career and loads of money. The characters in the book are well defined and each and everyone plays a major role in developing this story. A Surgeon’s wife is one of the most tragic stories I have ever read. In the beginning of the story, there was a lot of medical jargon and I got a bit lost but eventually I gained my composure, and the the rest of the story was intelligible. Michael’s success story was very inspiring, despite coming from a humble background and being raised by a single mother, he worked very hard by giving it his all. It shows that being committed and focused on your goals, eventually pays off, and where you come from doesn’t necessarily determine where you are going. The issue of alcohol and substance abuse is also addressed, and the successful rehabilitation of Helen is quite motivating. There are numerous lessons to be learnt from the characters in this story. Since Otherson financially supported the hospital, top management willingly turned a blind eye to his growing inefficiency which resulted in the loss of a life. It is heartbreaking knowing that this sequence of events is happening daily in our own societies. Wealthy individuals conveniently exchanging money to cover up their failures, and the less fortunate individual paying dearly, sometimes with their life. I rate this book 4 out of 4 stars because its relatable, emotional, inspiring and very well written. 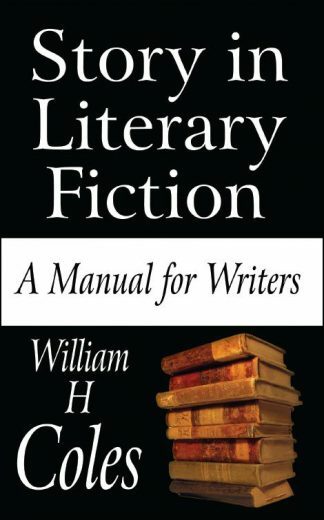 This book is ideal for anyone that appreciates fiction. “The Surgeon’s Wife” by William H. Coles is a literacy drama with romance and medical elements that create originality and keeps the story addicting to read. It is a story most people can relate to. Not wanting to put the book down, since it is so interesting, and wants the reader to continue flipping the pages. The author Coles did an awesome job telling this tale as if it this really happened in the real world. A great read that captivates every moment, and highlights the issues going on. The chapters are very easy to read, and the words are very well written and the story is very descriptive as the rising plot of the book dives right in. Cole indulges the readers by starting off with the main characters known as Mike and Clayton whose tempestuous relationship shapes the events of this uproaring novel. The Surgeon’s Wife is a really interesting book that I instantly got hooked on and would read it again! I give this story a 4/4, so yes I highly recommend this one. There were some beautiful lessons featured in the story. Such as, multiple surgeries can have adverse effects to the patient that could lead to death. Don’t trust people who say they’d never do a particular errand or task, because people change as time changes. I also learned that some people live in an unhappy marriage life, they feel neglected and ignored by their mates and they wonder whether there is TRUE love. Honesty and freeness of speech in a relationship is vital to keep the bond strong. You can never serve two masters, either you’ll love one and hate the other. For instance, Clayton was overly committed to his work that he had less or no time for his family. I rate the book at 4 out of 4 stars. I love medical related articles or stories, and the book didn’t disappoint me. The writing was easy to understand and it was well composed. I didn’t notice grammar errors in the writing. The book is ideal for everyone because the author accommodated diverse events that touched some relatable aspects of life. Bored with the romance novel clichés and searching for something new then you are on the right place. The Surgeon’s wife, a romance novel written by William H. Coles, will bring you a whole new world, a world that you will never want to leave. To be honest, once I read Coles name on a novel, I read it immediately. He is a talented creative writer. His novels are always with universal messages, for they usually criticize and analyze the human nature. Briefly, these novels will change you, making you view life in a different way. I give this book 4 out of 4 stars, since it is a hard-to-put novel. It is a romantic novel with a tragic ending and you can also find some elements of suspense. It is the kind of novel that I adore, the one that not only stimulate your emotions but also arouses new ones. As usual, there is no happy ending with William Coles. It is actually a heart-breaking novel. You will also enjoy many plot twists and many surprises that would blow your mind. I promise, Once you read a book by Coles, you will get addicted to his work. I’m not going to give away the ending as there were twists and surprises, but just know that it was not at all that I would have expected. The author brought the characters to life from page 1 and to me no matter if it may not be as happy of a book in places as I would like I am not going to give it anything less than a 4 out of 4 stars. The author made me feel not only for the patients that were going through these botched surgeries but also for the surgeons, nurses and other people that were concerned. At times like I had mentioned it may have been sad, but that was because you were feeling what the author had put down in words. It was very believable, and a very good book. I look forward to reading more books from this author! One great aspect of this book is that it manages to keep the reader in suspense, I read on expecting some things to happen but I was shocked when things turned out differently from what I expected. The story has a blend of different and interesting characters, some who are quite relatable. The conversations also helped in the character development. I loved the two teen characters (Helen and Mellissa) in their carefree spirits; I could never predict what they could do next. The romance in the book is engaging and the twists and turns made me not want the story to end. Apart from the medical jargon, the book is written in simple language which is easy to understand and can be read by a younger audience. Although there were a few obscene words in the story, the book is worth reading. I did not come across any editorial errors and so I believe the book was professionally edited. I personally loved and enjoyed reading The Surgeon’s Wife. I would recommend the book to all those who love romance and suspenseful books. The book can also be interesting to surgeons. I rate this book a 4 out of 4 star rating. The story revolves around Mike, Clayton and Catherine. The novel has many other important characters. Unique characters is one of the best thing in this book. It invoke many strong feelings and emotions in the reader. My favourite character in the book is Catherine. The way she feels about love is so mesmerizing and amazing. My favourite part of this book is where Catherine and Rosie talks about their love life. The way the author writes about all the medical stuff is also amazing. This shows the effort put by the author while writing this book. It seemed much like the doctor report. He also writes about the problem of obesity. People are obsessed with the perfect figure. Many people risks their life to have a perfect body shape. Some people prefer surgeries. I will give this book 4 out of 4 stars. The story is well written. There are no major grammatical mistake. The book is professionally edited. I will recommend this book to anyone who loves romantic love story. This book contains not only conflict between two good friends but also a love story. The end was sudden. Hope so there will be a sequel of this book. There is no unnecessary details described by the author. Coles showed a mastery in his writing. The way he presented the twisted mind of Clayton, made me laugh. Many great themes were put forward in the story. Family wealth played a role in shaping the characters in the story. Clayton came from a family of affluence. His arrogance came partly from knowing he was the son of somebody and his experience in surgery. His wealth also spoke for him even when he was not there. There is a motif of sexism in the novel. The surgeons hardly agreed on an issue raised by a female surgeon. This helped to elongate the story. How? If the surgeons have agreed outrightly when one of the surgeons made a strong case about the success of Clayton’s surgery, Clayton’s character would have been very brief. The writer is a seasoned writer especially when it comes to stories about doctors and health. He is versatile with medical terms and used them liberally in the book. I noticed slight errors in the book. I rate this book 4 out of 4 stars. It is a thriller, full of suspense and will surely appeal to people who love doctor stories and tragic stories. What I liked about the book is how the author brought out the story of love, marriage and materialism. Many people choose spouses for their children, sometimes the only factor they consider is their own material gain. Gabe, Catherine’ s father did his best to ensure that Catherine got married to Clayton, all he wanted was to improve his economic status at the expense of her daughter’s happiness. I would rate the book 4 out of 4 stars. This is an intriguing story. It is educative, simple rule to a happy marriage is that it is founded on love and not on materialistic things. I would recommend the book to all who love fiction books, those who love reading will find this book interesting. The medical intrigue is especially deftly handled. Coles has an excellent touch for giving us an insider’s view of hospital politics and of the controversies around surgical procedures for obese patients, without bogging us down in details that would be difficult for non-specialists to follow. The portrait of a world where surgeons’ egos, hospital finances, and the well-being and safety of patients jostle for primacy is well-crafted indeed, creating a gripping backdrop for the personal dramas. The distinctively New Orleans setting, meanwhile, adds specific color, from the high society world of the Othersons to Mike’s Cajun fortune-telling mother. One of Coles’s strengths is his ability to shape these worlds believably, taking us behind doors that, depending on our own backgrounds, might normally be closed to us. It is an exhilarating medical drama with all the earmarks of a true story even though the author makes no such claims. What at first appears to be an ordinary love story will inspire introspection into your own love life. Without being too obvious the author emphasizes the urgency of finding true love and keeping it. Mike and Catherine suffer many tragedies together but we can all agree that never finding each other would have been the real tragedy. I also find this book intellectually enriching, the medical procedures mentioned within provide a good point of reference for further research. 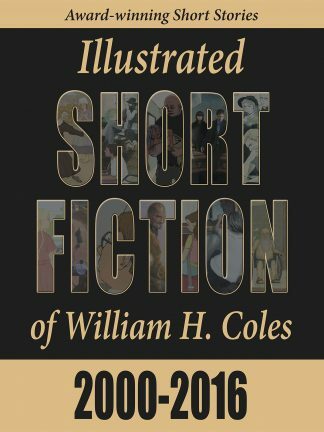 Narrated in three parts, the surgeon’s wife by William H Coles is a thirty-seven chapter fictional novel which portrays a bittersweet relationship between two surgeons Mike Boudreaux and Clayton Otherson. I gladly rate the book 4 out of 4 stars and commend the writer for an excellent piece written. I recommend this amazing book to readers who have an interest in medical stories, pure romance and to all readers who like exploring the various genres of books to try and will not be disappointed. Reading the blurb and seeing that the book was written by a former doctor made me think the book was mainly about doctoring and made me expect nothing more than descriptions of the occurrences inside the hospital, mainly the theater where the operations were carried out but in the book we were treated with chapters of big decision makings, a little bit of action and romance which reminded me of the saying; Never judge a book by its cover. The description of the characters in the book was presented with satisfying depth and all the scenes in the book were captivating. I would recommend this book to anyone who enjoys a little twist or turn of events and also a mixture of romance, action and big decision makings. I was especially impressed by the amount of research that has obviously gone into writing this book. The wealth of knowledge and really technical information on the gastric bypass and the administrative organization of hospitals. I found it quite informative to know of various committees and the check and balance strategies set up to closely monitor surgeons for any excesses. I actually realised the many more things that take place in hospitals, other than the care they give to patients. I really enjoyed the story development. Divided into three parts, the book is made up of beautifully varying characters and quite a number of themes. There is that of love, romance, child abuse, arranged marriages, broken homes, forgiveness, to name a few. Just when I thought I knew what the book was about, the author would introduce another theme. The story has an easy flow, spiced with unexpected turns and surprises that are guaranteed to keep the reader’s interest fully locked in. I am glad I chose this piece as my first read in the Online Book Club. I really enjoyed the book. It had the mixture of everything I look forward to in a book. There was humor, suspense, excitement, not too intense, romance, the low points and high points. I initially thought the book was slow paced, however, I discovered that the pace was just right for the storyline. I must commend the author for his in-depth research into the world of medicine. With an elder sister who is a Consultant, I could relate with medical world created in this book; the loyalty of junior doctors to seniors; the superiority complex of surgeons, doctors in a particular department covering up for their own, and so on. All the medical terms used were used correctly. It was a very knowledgeable and enlightening read. I liked the buildup of the storyline, the more I read it the more I was attracted and entertained by the novel, this made it easier to concentrate and enjoy the novel. The characters are well developed all-round, especially the main characters, he (the author) breathed life into the characters making them seem real and alive, this strengthened the relationship between the story and me. The plot is well choreographed to accommodate a lot of issues and storylines without necessarily overwhelming plot; this made the flow of the story seamless and accommodating. The author sights great reference from around different fields and places, I am from Kenya and was shocked when the author made a correct and precise reference to an event that happens in Kenya. The author incorporated a great sense of humour in the story, even the most evil character like Clayton was hilarious and funny to read, this worked well in keeping me relaxed and entertained. Lastly, the emotional aspect of the story was very strong and almost tangible; I cried and laughed many times throughout the course of reading the story. Though this book is not all action, it does show violence and upheaval. The ideas are dark and confusing as is much of humanity. However, the author had a way of treating this darkness in such a way that it did not leave anybody feeling depressed. I like this book because its plot is deep with developed characters. I also love how medicine was entwined with the rest of the story. The fact that the author made the story relatable to reality was most pleasing to me. There are little or no mistakes in the write up,I discovered only two typographical errors so I’d say this novel was professionally edited. I rate it 4 out of 4 stars. I recommend this book to everyone,no matter your preferred genre or choice of books. It’s a book that will keep you captivated till the very end. I like William Cole’s books. He is a great award-winning author who writes realistically. He has a flair for word flow. He chooses apt words, sentences, and conversations for his story. He has a unique and appealing character development style. His way of describing the ambiance is fantastic. The Surgeon’s Wife is loaded with suitable emotions, reactions, and consequences. It has an in-depth plot and many fascinating scenes. I believe this book is surely a treat to the readers. I like to award this intriguing novel 4 out of 4 stars. I recommend this to the general public. This book is for the humanity, as it upholds morality, soft feelings, and concern for the fellow beings; a good read for all genres and age groups. This book has a good flow; the story moves from one event to the next in an organized manner. Characters are well formed; when you look at any of the main characters – Mike, Clayton and Catherine – there is consistency in their behaviour. If you look at someone like Mike, he was depicted as a reasonable person; he remained reasonable thought this book. Clayton was portrayed as a stubborn individual; he remained stubborn in the entire book. Catherine was depicted as a strong willed lady; she remained strong willed in the entire book. This book has been done in a way that, you cannot predict what is ahead; this is a great way of keeping a reader engrossed, from cover to cover. I genuinely enjoyed reading this book, right from the beginning to the end. William’s writing was very clear and simple which amazed me. The story was not only emotional but also catchy. I could not afford to take a break for any reason, not even sipping water. The urge to know what happened next consumed me continually as I carefully navigated through the book. The ending was never predictable. This was the most impressive thing about this book. Each chapter brought out a unique experience. Everyone wants a happy ending story, despite this, the author was able to deliver a compelling and satisfying story with a saddening end. Though the story is a fiction, the narrator, made it more realistic. Truly, dreams may not always come true. This book was completely satisfactory. I can not pinpoint any reason to dislike any part of it. I recommend anyone with a passion for romance stories to obtain a copy of this book. I rate this book 4 out of 4 stars. I would love to read more from William Coles. His creativity is absolutely incredible. As a lover of fantasy, I encourage him to write more stories with emotional happy endings. This dramatic New Orleans story plays on themes of loss and love. William H. Coles’s unpredictable novel The Surgeon’s Wife focuses on the romantic relationships and family dynamics of two surgeons. Mike Boudreaux is a surgeon living in New Orleans. His medical mentor, Clayton, is delving into the world of weight loss surgery. With its loose guidelines and unpredictable surgical outcomes, Clayton’s practice becomes a point of contention for Mike, who, as head of the Operating Room Committee, is forced to place restrictions on him. When Clayton’s neglected wife finds comfort in Mike’s arms, Clayton feels even more betrayed. Thus begins his mental deterioration, which leads to erratic behavior and violence. Mike attempts to balance his strained friendship with Clayton, his budding relationship with the surgeon’s wife, and his responsibilities at the hospital, but his life becomes increasingly chaotic. As the novel opens, Mike and Clayton’s friendship is already teetering. Aspects of their personal histories and professional responsibilities plague their relationship. While much of the novel revolves around Mike, less is revealed about his personal history than is revealed of other characters; he is emotionally difficult to relate to. Clayton’s and Catherine’s backgrounds are explored more in depth, and their fall from prestige—Clayton from his practice, Catherine from a life of luxury—is a more accessible story line. The dialogue is most natural among the medical professionals, who speak in definitive ways; romantic scenes are more stilted. The writing is accessible; technical language, even in discussions of medical procedures, is kept to a minimum. Occasional artwork shows up before some chapters but is inconsistently utilized and does not add insight to the narrative. The book takes place mainly in New Orleans, and descriptions of the city are proficiently woven in, from turn-of-the-century luxury in wealthy areas to small, close-knit areas of the French Quarter. While the vibe of New Orleans is referenced throughout the book, it is not fully captured. The story jumps between characters, some of whom are abandoned for long periods of time and others of whom are introduced late in the text; they distract from the main story line. While themes of loss and pain connect all of the characters together, the plot frequently meanders. Through exchanges between Mike and the OR Committee that oversees Clayton’s practice, interesting information about weight loss surgery is analyzed, adding a modern, controversial edge. Conflict capably drives the story into unpredictable territory. By the end, all story lines are convincingly resolved. The Surgeon’s Wife is a surprising drama of loss and love. Reading the synopsis of the novel makes it seem as if the plot is completely predictable. This is certainly not the case. Although I could pick up a couple of common tropes and clichés while reading, the way that Coles went about them was in unexpected and mysterious ways. The funeral scene in particular was the most unexpected for me, and I was truly shocked to see how it played out. Coles’ matter-of-fact writing style paired with the events of the plot worked strangely well together. It made the unexpected events that much more surprising because there isn’t a lot of obvious buildup that some amateur authors fall prone to. In all, The Surgeon’s Wife is a quick read that doesn’t seem to fall short in any area. The plot is interesting, the characters are diverse and complex, and Coles’s writing style is the perfect vessel for this story to be told. Not only is it a conflict between two old friends, but a love story between two people that put off a meaningful and loving relationship for most of their lives. The end, although it was sudden, didn’t leave me hanging, but instead closed off the narrative in a great way. Although there could definitely be a sequel, possibly surrounding Clayton’s spiral into madness, it doesn’t feel necessary. I give The Surgeon’s Wife by William H. Coles 4 out of 4 stars. The characters in the book have different behaviors which make the book more interesting to read, from one character’s story to the other. The characters like Michael and Catherine demonstrate how far true love can reach and it can still exist despite the obstacles it faces. Michael is a compassionate character who knows how to treat a woman. The character of Melissa who is as stubborn as a mule describes a girl trying to fight and prove her parents wrong. Clayton portrays violence and too much rage. I personally liked all the characters, their roles in the context and how their stories are narrated simultaneously. The author really describes their stories in full length, with passion and he is a great narrator. The story is so interesting that it brings one to fantasize and even picture as if the whole scenario is happening there and then. William Coles crafts an authentic, engrossing novel that was such an interesting blend of almost everything, from romance to danger to suspense, to complex medical happenings… it is really hard to just sum up or categorize it easily not just a romance or a medical drama, this book has its dark and disturbing moments, but also its wonderful and that is what made it so good. I hate books that are super predictable, and this one isn’t at all. Some parts almost make me feel like I’m right there in the story with Mike, Clayton and Catherine and everyone else. The characters of Mike, Clay, Catherine, Rosie, Mellissa (and the others) were genuine and believable, and I think what I liked the most about this book was just the overall feel the author managed to create where it felt intimate, like we are really there in their heads as this story unfolds, feeling the things they are feeling and seeing and experiencing. Like we are there in the OR or the Doctor’s meetings. This is a dark, intelligent story that is both easy and entertaining to read, yet deeply intense at the same time. I liked that the book highlights and illustrates the egos of doctors as well as their professionalism. The author shows all of the tensions of a hospital that needs to make money and at the same time monitor their physicians and staff. In this story, mistakes are tolerated by colleagues and excuses are made. Dr. Mike Bordreaux is a part of this system and his loyalty to his mentor is very strong. How he works this out professionally and personally is interesting and held my attention to the end. One of my reactions to reading this book was that I found myself frustrated with the main character (Mike) because I wanted him to be stronger and more principled as a surgeon. Of course, then the story wouldn’t have been as interesting or as complex. I recommend this book to those who just enjoy a good story. It has a very surprising ending. It is one of those books that you want to finish reading. I put off starting dinner for over an hour so that I could finish the book. Characters are well developed and the reader will be attached to them from beginning to the end of the novel .Questions about choices made by characters will keep the reader engaged to the end. For instance, when Mike falls in love with Layton’s wife, who is his best friend, a mentor and his teacher, the reader starts to question his action and why the author brought him as immoral despite having positive qualities at the beginning. Up to that point, I felt betrayed by his action and I began to support Layton, although he is working carelessly in his surgeries to a point where some patients die. To conclude, let me stress the very title of the book and reformulate the sentence from the beginning: this book is not only about a complicated relationship between two distinguished doctors whose lives are tightly interwoven but also about the dreams, feelings and actions with far-reaching consequences of the surgeon’s wife. I believe that many readers who prefer dramatic plots would enjoy this book`s striking characters and the forward momentum of the story. The book pushes you to think more deeply about the characters` real nature and intentions behind their actions while wondering what you would do if faced with similar decisions. This book has a captivating storyline, I really enjoyed this book and recommend it for a mature reader looking for a realistic medical related novel. This book gave me no room for boredom, it has 182 pages with every chapter going straight to the point therefore making the book easily understandable. The description of situations in this book is another excellent feature. The author included the characters’ thought on certain aspects in the book. This will help any reader to get detailed image if the situation. I give The Surgeon’s Wife by William H. Coles 4 out of 4 stars for a creative writing style, excellent writing flow and a realistic imagery provided. This book is a must read for medical related novel lovers. I rate this novel 4 out of 4. This novel is one of the best I have read in a long time, although it is not without flaws. What I enjoyed the most while reading The Surgeon’s Wife was Coles’ style of writing. The author was not very wordy and was able to describe scenes effectively without saying too much. I enjoyed this because it allowed my imagination to fill in details and make informed guesses as I read. However, although this was the norm throughout the book, when Coles decided to describe certain scenes in fine detail, the descriptions and portrayals were masterful and immersive. Another aspect of the novel that I enjoyed was its pool of characters. The main character was relatable and, although much of his turmoil involved medically-related issues, his problems and decisions seemed like ones that anyone might face as one moves through life. The way characters entered the story was also captivating and character development was excellent. Something that I additionally loved about this book was the beautiful imagery found throughout it. The author’s descriptions of life, very real world problems, as well as descriptions of the scenery of New Orleans and the emotions and feelings of the characters, was absolutely wonderful to read about, and the author painted a beautiful picture in my head as I was reading this book, which made me love it even more. To me, a book is enhanced and bettered through its characters and through its imagery, and The Surgeon’s Wife held all of these elements! The theme of the book, which has already been told so many times, would be one of many if there aren’t so many layers with the very serious topics that distinguish this story from the others. One of these topics which frequently appear in the book, and again in several variants and with different effects, is the lack of parental understanding and support. On the other hand, we have a moral dilemma whether to stand aside someone who guided you in your career, although it is obvious that the consequences of this can be catastrophic or to do the right thing, and in that way betray someone who helped you be where you are. And whatever you decide, can you foresee all the consequences of your decision? Also, there are questions: how far the bruised ego can go in its selfishness? Seeing the past in a different way? Twisting the truth to fit the current view of life events? Furthermore, I would like to highlight the topic that the author described here concerning the increase in profits in medicine, regardless of whether it will harm the health of patients. enjoyed how the author’s story relates very much to reality making it relatable. I liked how every characters life is expounded on without straying from the main subject. This allows me as a reader to know each character in depth and also follow up on the reasons for their actions. There was also the element of surprise in the story making it more captivating. I found the ending tantalizing and loved how this story was brought to completion. It left me questioning all the turn of events throughout the story and I must say I found it a bit humorous. One thing or the other makes people behave or do things the way they do. They are not to be blamed because, that’s how our nature is fashioned. All humans have the free will to choose the manner and ways he or she wishes to behave. William H. Coles carefully explains all these issues in his book The Surgeon’s Wife. I really like how Mr. Coles carefully manages to fully elaborate the story as well as the characters in this book. This kind of book is not a book full of action, but it speaks of violence and turmoil. Though this book is not full of action, it does have violence and turmoil. In this book, William H. Coles was sensitive to keep the suspense going. He never loosed touch of the essence of the stories. He added little humour to the story, but still in a more mature way. He was very descriptive with the scenes and plots to the extent that the reader feels involved in the action. All the characters added up so well that even to the last page, you still remember every character . William’s Management of every parts (one to three) is just amazing. you can never get lost reading this book. What I liked most about the book is that all the characters are so profound and they reflect human nature.This is definitely not a simple book, even though you can read it in one sitting. It was so exciting to me to read about the development of these characters and the changes they experience. Some of them managed to get back on the track, like Catherine’s daughter, Melissa, while some of them failed to do so, but despite that the ending was absolutely unexpected. Also, the fact that the author was a surgeon himself, and that he probably used his personal experience while writing the book only contributes to the quality of it. The Surgeon’s Wife has many attractions to commend it. First is its entertainment value. Even though it is not a thriller, the book is very interesting. Once you start reading it, you will hardly want to put it down. It has a great plot and flowing narrative which truly justifys the author’s selection as a Shortlist Finalist in the William Faulkner – William Wisdom Creative Writing Competition. Secondly, the book is very educative. Displaying a thorough knowledge of Medical science, it describes surgical processes and terminologies so well that it can stimulate ones interest in medical practice. Most importantly, the book like The Guardian of Deceit by the same author makes the case for probity, sincerity and professionalism in medical practice. Its concern for an efficient, innovative and wholesome medical service geared towards good patients’ care is commendable. I loved the entire book, it had action, and romance. Just when the reader thinks they may know the personality of a character, the book will show another side of them, having the reader reevaluating previous conceptions made based on some of the unexpected decisions the characters will make. Some scenes came out of nowhere when introducing new characters, so the reader will think at first, and then the author nicely ties it all into the rest of the story. This book had many stories going on simultaneously and yet they were all connected somehow. Reading this book will treat the unanswered questions. Will Mike deviate from his ethics to save his mentor and friend? Will Clayton lose his license? Can Mike find true love? Are surgeons capable of love? Will Clayton have a chance at redemption? Will Clayton’s family survive the storm? The Surgeon’s Wife is a book with a good story line and detailed characters. Even though the book is only 182 pages it never lacked any details. The book has no explicit content and little graphic violence which makes it very appropriate for younger teens up through adults. The book is not meant for lovers of action, adventure, and fantasy but its story line is that which will be enjoyed by all. The book is highly recommended to romance and fiction lovers. The Surgeon’s Wife is one of those gripping tales that are hard to put down. I think many readers will be compelled to read it from the beginning to the end. The story is moving and entertaining. The author explores themes of tragedy, dilemma, broken families, work, social class, gender, suicide, ethical issues in medical practice, and love among others. I was remarkably moved by the shattered lives of the characters and the way some managed to handle their problems while others lost their mind. There were a lot of things that I really liked about Coles’ writing style. Although this novel was a lot shorter than one might have expected, its language was succinct instead of entirely lacking. The author provides the reader with the details needed to further the plot and no more, ensuring that the novel has little to no unnecessary scenes. Also, the characters were excellently written. Even minor characters were interesting and detailed, providing really engaging and useful dialogue. The plot was great, moving at a pace that was neither too slow nor too fast. Furthermore, despite my initial doubts, the style and tone of the narration ensured that the subject matter became extremely interesting to me over the course of the story. In fact, I read this book in one sitting because of my level of interest rather than its short length. This story was surprisingly not at all what I thought it would be. I expected a thin plot with a racy affair and a predictable antagonist. This was not at all the case. The plot was deep and the characters well-developed. There are many characters in this book, all with their own stories being told simultaneously. While one would think that sounds confusing, this author expertly weaves the characters stories together leaving no rock unturned. I would rate this book a 4 out of 4 stars. It was thoroughly intriguing and engaging. I read every moment I had to read. I did not see the end coming at all which pleased me and left me feeling satisfied at the end. I would recommend it to anyone who loves a good suspenseful story. Even my mystery/thriller friends might enjoy this one as only a slight change of pace. I know I did. Mike Boudreaux is a respected New Orleans surgeon and is also the chief of surgery. Clayton Otherson is his friend and mentor. Clayton Otherson is one of the surgeons who help in the delivery of quality healthcare to his clients. Otherson performs life-threating operations on obese patients. He is the kind of surgeon who does not accept criticisms from his colleague surgeons. Therefore the chief of surgery together with the other members called Otherson to advise him, but he does not take their advice. Mike complicates the situation by falling in love with the wife of Clayton. The book is very inspiring to read and follow without stopping. 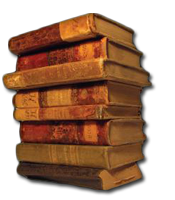 The characters and chapters are properly fixed that drive the reader to concentrate on the book. The story too is very intriguing to me when I observed it was about a group of surgeons and the welfare of their clients. It was clear to me because I know the author is a surgeon. The Surgeon’s Wife by William H. Coles is a dramatic tale of two surgeons caught up in a maelstrom of friendship, deceit and grave mistakes. I picked up this book because I love medical mysteries and thrillers. For a while, I even had flashbacks of reading one of Robin Cook’s older books involving malpractice, the death of patients, and a deadly mystery surrounding the hospital. Yet, The Surgeon’s Wife is more a dark drama involving a decaying friendship and a romantic triangle, with some well-fleshed out characters that we learn to care about quite early in the book. Mike is an honest guy who wants to do right by everybody. But he can’t make everyone happy; someone’s got to lose. Catherine is a complex character who is enjoying the upper lifestyle her husband’s wealth and status offer her. Still, Catherine is not merely a spoiled trophy wife; she has a mind of her own and her own accomplishments as well. Those, however, are buried under a veil of sexism by her husband’s peers. Even though she has done much for the establishment, Catherine will always remain the “Surgeon’s Wife” for everyone else. Human nature has always been fascinating to me. What makes people do the things that they do? This is the type of issue that William H. Coles explores in his book The Surgeon’s Wife. Though this book is not full of action, it does have violence and turmoil. The themes are dark and confusing as is much of humanity. Yet, the author treats this darkness in a way that doesn’t have you walking away depressed. (I find that this is often the case after I watch an episode of Law and Order: SVU.) I appreciate that, as so many times when discussing human nature, it’s easy to feel hopeless. Mr. Coles, though, manages to find the pinpoints of light in the darkness and bring those to the forefront. I very much enjoyed reading The Surgeon’s Wife. I found only 2 errors in the whole book, leading me to believe that it was professionally edited. That coupled with the wonderful character development leaves me with no choice but to rate this book 4 out of 4 stars. I’ve always said that any genre of book can be enjoyable as long as there is good character development even if it isn’t your preferred genre. William H. Coles proves that over and over in his works. – For me, “The Surgeon’s Wife” had many of the necessary ingredients to be a hit for me, but something left me feeling sort of flat about the whole thing. Almost like the most pivotal scenes were too rushed, and there were some scenes and characters (and some chit chat, filler dialogue) that added nothing. Even the scene that was supposed to be dramatic with some ‘deaths’ left me feeling a bit detached and removed from the action. But as the storylines started to mesh together, I realized just how well-constructed this story was, and done in a way that puts a new spin on a traditional romance story. The characters were unique in their own right, and believable to a point. Overall I can say that I think it’s an interesting story, but the execution just didn’t resonate with me in a way that I’d hope for. (4 stars). Set against the backdrop of New Orleans society and its medical community, The Surgeon’s Wife is the story of two physicians: one an aging aristocrat and surgeon, Clayton Otherson, who begins to injure patients as his skills and mental abilities decline; the other younger partner Mike Boudreaux, who is placed in the bad position of having to point out these errors and discipline his own mentor.One doesn’t expect romance to further complicate a professional relationship already standing on shaky ground; but when Mike falls in love with Clayton’s young, beautiful wife, the trouble between them threatens to spill over into the personal and professional lives of everyone involved.It’s difficult to imagine that a short novella could capture so many facets: New Orleans culture and society, the dilemmas faced by a compassionate younger doctor and his increasingly impaired mentor, and the underlying desire for love that creates ethical and moral conflicts; but The Surgeon’s Wife deftly weaves these disparate threads of interest into a story line that is as thought-provoking as it is entertaining.Readers with a special affection for romances which spring from unusual circumstances will relish the attention to detail exploring how a colleague’s wife becomes tempting: “She climbed up the stage stairs gracefully, with the controlled steps of an athlete, and walked to the podium. For the first time ever, he found her striking. She knew her worth as a woman. He’d not been around her enough over the years, when her role had been always as a hostess or as Clayton’s devoted companion, to see it before. But here, on this stage, presenting to this group of arrogant cynics, her confidence was obvious and appealing.”William H. Coles takes the time to explore and develop this process, and this care shows well in a production that moves beyond professional boundaries and how they are overstepped into the lives of two compassionate individuals who find in each other an unexpected connection.As events give rise to some unexpected scenarios, readers are in for a treat because what is anticipated to be a set course of love evolves into something quite different.While the story’s unexpected conclusion would seem to belay the evolutionary direction of the rest of the novella, the result is a satisfying turn of events that will keep readers guessing right up to the end in a story recommended for romance readers who want the added attraction of professional and ethical conundrums added to the mix. 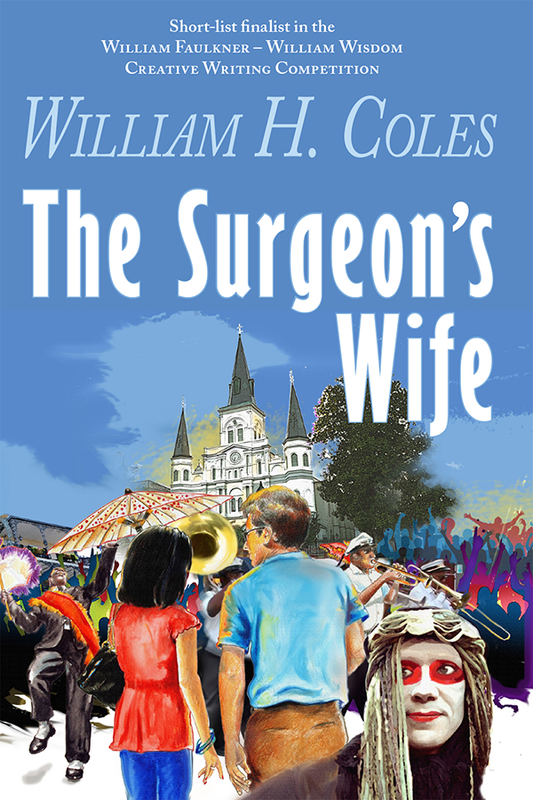 The Surgeon’s Wife by William H. Coles follows Clayton Otherson, a senior surgeon, as he makes life-threatening mistakes during Bariatric surgery in a New Orleans’ hospital. Mike Boudreaux, the chief of surgery, must discipline Otherson, his partner, colleague, mentor and friend. Even though Mike knows he must take action, he feels conflicted because he owes his education and his career success to Otherson. But when a patient dies from post-operative complications, there is no option but suspension. Otherson turns angry and vindictive, especially when his wife, Catherine, turns to Mike for help and support. Otherson is consumed with revenge and threatens violence. The consequences of the psychological and emotional effects on Catherine and Otherson’s marriage, on their daughter, Mellissa, and on Mike are dramatic and disastrous. I found The Surgeon’s Wife by William H. Coles an interesting and fascinating read on several levels. Coles skilfully articulates the moral dilemma faced by doctors regarding Bariatric surgery (gastric bypass surgery) and its consequences for patients. The issue of financial gain over patient safety is also well presented, along with the conflict between personal values and corporate economic survival. The psychological and emotional journeys of all the main characters, Otherson, his wife and daughter, and Mike, are intriguing and compelling, while the dramatic ending is completely shocking and, in one aspect, unexpected. Fortunately, the denouement offers an inkling of hope for the future. If a reader is looking for drama in a surgical setting, I recommend this well-written book, The Surgeon’s Wife by William H. Coles. In William H. Coles’ novel, The Surgeon’s Wife, Catherine is the lovely but neglected and unappreciated wife of the lauded Dr. Otherson. When Dr. Otherson, a specialist in bariatric surgery, comes under fire for both his procedural competence, and his true motivation for performing surgery on patients only mildly obese, his world and his marriage to Catherine start to fall apart. Unfortunately for her, she finds solace and love in the arms of Michael, once Otherson’s student, but now his superior. What follows for Catherine and her daughter Melissa is heartache, chaos and, ultimately, violence, while Michael battles with his loyalty to his mentor, his duty to those patients who have put their trust in Otherson’s skills, and his love for Catherine. Just as he did in his more recent novel, McDowell, William H. Coles enjoys, as did Shakespeare, exploring and exploiting the concept of the “tragic flaw”, the one characteristic that causes a hero to come undone. And Coles does this so well. It’s fascinating to watch how Dr. Otherson, at the top of his field when the story opens, hits bottom by the time the story closes, thanks to his one, maybe even several, tragic flaws. One of the beauties of reading books or short stories by William H. Coles is his remarkable ability to reveal characters through dialogue. He relies very little on any other of the usual devices writers use. The result of his approach is a sense of fulfillment in readers: they feel this author knows they are intelligent enough to draw their own conclusions about the people in his story. Ultimately, this consistent and superb use of dialogue makes The Surgeon’s Wife a quick, engrossing and satisfying read. Enjoy. A refreshing read, The Surgeon’s Wife takes readers on a fictional journey that will keep them intrigued from the beginning. William H. Coles’ dramatic tale is based around the lives of two prominent surgeons and one woman. The issues that arise in The Surgeon’s Wife start off with one of the main characters, Clayton Otherson, making a major mistake during surgery. His former student and the current chair of the OR committee, Mike Boudreaux, tries to protect his mentor, but ethically and professionally he knows he must protect the patients. Eventually, a love triangle comes into play and Mike and Catherine Otherson, Clayton’s wife, become lovers. With numerous challenges facing both the Othersons and Mike, The Surgeon’s Wife will keep readers on tenterhooks from start to finish. For the most part, William H. Coles’ story progresses at a cadence that feels smooth and interesting. The romantic relationship between Mike and Catherine jumps ahead pretty quickly – but not until nearly halfway through the book – and with little anticipation of it earlier in the plot. But, overall, The Surgeon’s Wife is so intriguing that this minor issue remains just that – a minor issue. Coles makes the story more realistic by allowing some patients to actually die even after having given readers a chance to like them. He also displays examples of doctors trying to stick together and protect one of their own, even at the risk of patients’ lives. Sexism is still yet another aspect fluidly blended into The Surgeon’s Wife, from how doctors’ wives are often treated to how female surgeons are treated. William H. Coles’ The Surgeon’s Wife is filled with an in-depth plot, powerful characters, and a lot of fascinating different topics that could be proposed for discussion via a book club or with friends. The Surgeon’s Wife is a great read and one I recommend. The charming city of New Orleans as well as a varied cast of interesting characters are the main components of this intriguing novel. Mike Boudreaux has been the Chief of Surgery for four years, and he is faced with the challenging task of dealing with his favored professor and mentor, Clayton Otherson. Dr. Otherson is performing many unnecessary and dangerous surgeries for obese people, and his declining abilities have resulted in physical damage in several cases. How the hospital staff should deal with this results in conflict. Mike’s relationship with Rosemary Dayside has ended, and a physical attraction to Clayton’s wife, Catherine, has blossomed. Clayton and Catherine’s daughter also become entangled in her parents’ troubled marriage, and in her mother’s new relationship. In The Surgeon’s Wife by William H. Coles, the professional and personal lives of Mike and Clayton collide, and how it will end remains a mystery until the last chapter. One of the most fascinating aspects of this story is the hierarchy that exists in surgical departments in large teaching hospitals. Additionally, the societal structure within the wealthier classes of New Orleans is also revealed, within the context of a compelling story. 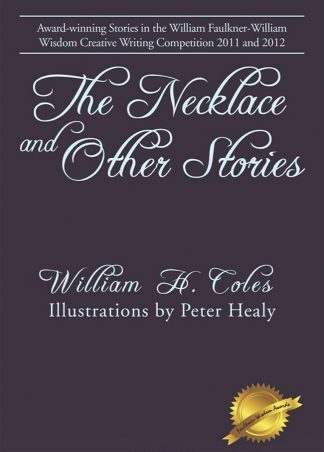 Author William H. Coles has written an engaging novel, encompassing several main themes. Mr. Coles’ writing style is concise and easy to follow. The drawings that appear on the cover and at the beginning of each section are as intriguing as the plot. Not only do they capture the essence of the book, they also capture the essence of New Orleans. This novel is certainly an enjoyable read! The Surgeon’s Wife by William H Coles delves into the life of elite and respected surgeons at a well-respected hospital in New Orleans. Mike Boudreaux is the chief of surgery and dedicated to his work, often to the detriment of his social life. Mike is put in a difficult position when another prominent surgeon, Clayton Otherson, comes under scrutiny for mistakes during surgery. Mike is conflicted by loyalty to Clayton and his desire to do what is right. He also harbours concerns about Clayton’s speciality of treating obese patients, when Mike feels other treatments and approaches are being ignored. Complications arise when Mike finds himself falling in love with Clayton’s neglected wife, Catherine. The author, William H Coles, would appear to have a clear knowledge and understanding of the procedures and internal conflicts of a high-end hospital, which makes the story authentic and gives it credibility. The story starts well with fast-paced and tense action, although it loses its impetus somewhat and continues at a more sedate pace. The author examines the issues behind the actions of the main protagonists well, and the characters are solidly developed and believable, in particular the attitudes of some of the surgeons who tend to have a superior and uncompromising view, not least of which is Clayton Otherson. The introduction of the romance with Clayton’s wife was an unexpected twist. The story holds interest, but could benefit from more intrigue and a few twists and turns to keep the reader alert. Otherwise, a pleasant read. As Clayton’s ability on whether or not he is a component surgeon continues to be scrutinized by his colleagues, it not only begins to take an emotional toll on his mental health but it also puts his marriage in jeopardy. Catherine, Clayton’s wife, finds herself attracted to Mike, and when family life becomes unbearable, she turns to him for help and support. Things become even more complicated when Mike and Catherine begin having an affair. Will this affair and Clayton’s struggling career destroy his marriage and friendship with Mike? Things come to a head in a final confrontation that will change the lives of everyone involved forever. William H. Coles does an excellent job of immersing readers into the fictional world of where the story takes place. The story brings out the contentious debates that can arise between hospital staff members as to whether economic interests are more important than patient care. An underlying theme of the story deals with the psychological and emotional effects on a martial relationship that is in a crisis mode along with the subsequent strain on the offspring caught in the middle. There is some profanity in the book, but it fits with the personalities of the characters.